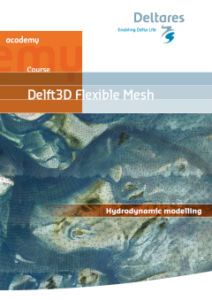 Through a combination of lectures and hands-on exercises, our Delft3D Flexible Mesh – Hydrodynamic Modelling course introduces grid generation for flexible grids, unique bathymetry interpolation methods, quickly setting up and running two-dimensional (2D) coastal – estuarine models and analysing results using the Delft3D FM build-in post-processing tools and third-party tools. The Delft3D Flexible Mesh Suite (Delft3D FM) is the successor of the structured Delft3D 4 Suite. 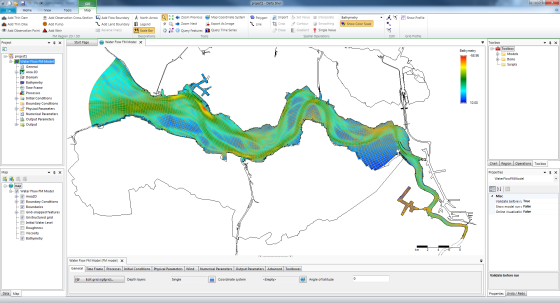 The Delft3D FM Suite can simulate storm surges, typhoons / hurricanes, tsunamis, detailed flows and water levels, waves, sediment transport and morphology, water quality and ecology and is capable of handling the interactions between these processes. The key component of Delft3D FM is the D-Flow Flexible Mesh (D-Flow FM) engine for hydrodynamical simulations on unstructured and structured grids in 1D-2D-3D. D-Flow FM is the successor of Delft3D-FLOW and in the near future SOBEK-1DFLOW. 7 September 2018, Perth, Western Australia. The registration fee for this one-day course, from 9:00 to 17:00 hrs, is 400 AUD excluding GST.